We will start at 9:00 am with pick up from your hotel; we will go to the Quechua village of Chinchero where we will make a stop. This town is located 28 km outside of Cusco and is surrounded by patchwork style fields with exquisite natural colours. 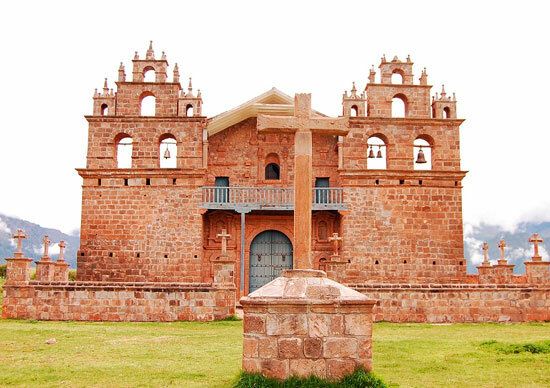 Chinchero is a charming town, with colonial style buildings and was a major agricultural center during the Tawantinsuyo. Here you can appreciate the stone walls with trapezoidal niches and a traditional market where locals still practice bartering. The women of Chinchero are easily recognized for their very distinguishing clothing and braided hair. We will go on to the picturesque town of Maras, 52 km from Cusco. It is located at an altitude of 3,380 meters above sea level. This is a small village famous for its salt mines which consist of about 3000 small wells with an average area of about 5m² from which salt is extracted after a drying process. 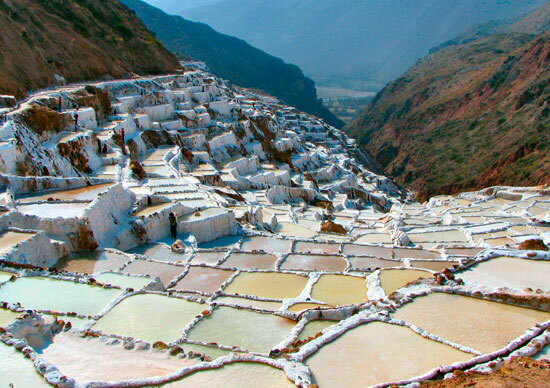 The Salt mines, better known as “Salineras de Maras”, have been exploited since Inca times as a means of economic exchange. 7 km from Maras, we will visit the archaeological site of Moray. 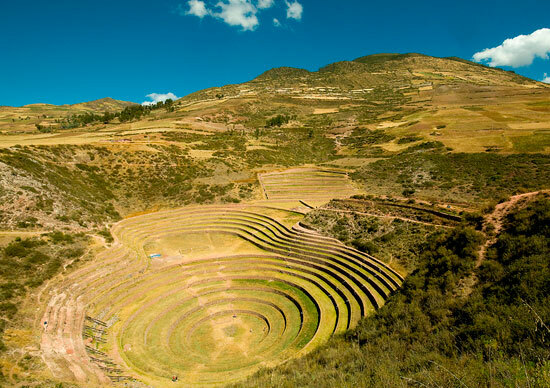 Here we will see the greatness of the circular terraces of Inca agriculture. Moray is a group of circular terraces which was used as an agricultural experimental center. The Incas used it to study the adaptation of plants to new ecosystems. The overlapping circular stone rings widen as they rise and it has a total depth of 150 m.
After a guided tour, we will go back to Cusco. The tour lasts about 5 hours and ends at Regocijo Square (a half away block from the main square) at around 2:30 pm. Transfer to your hotel. Professional bilingual guide and transport (share service).